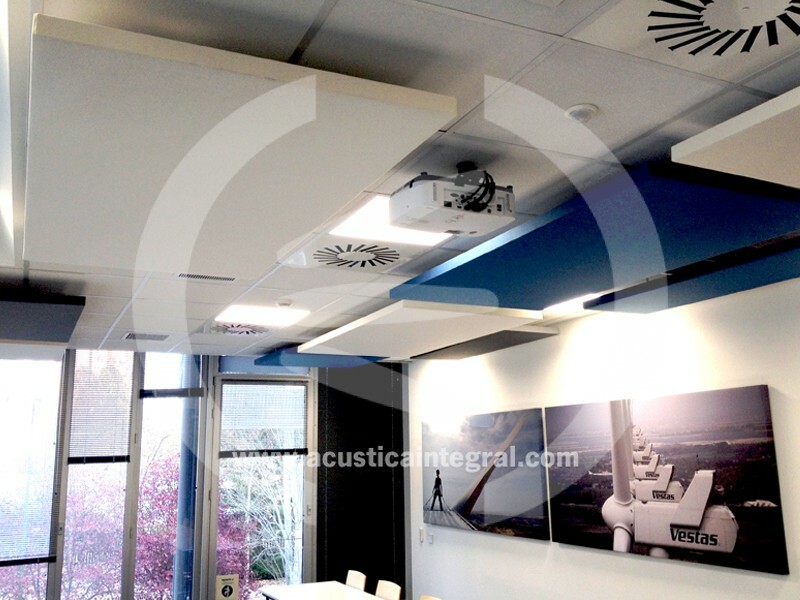 Project: acoustic refurbishment of conference room, videoconference or video call room. 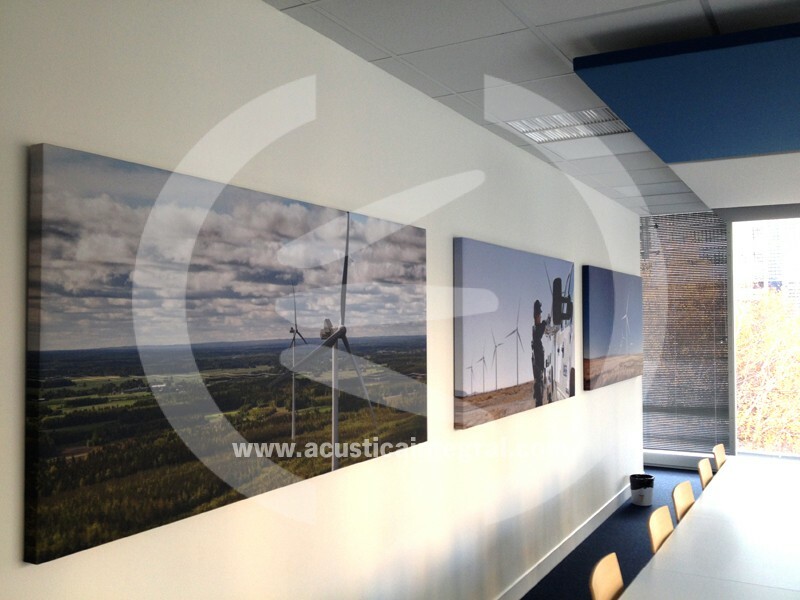 Acustiart Digital panels for walls. 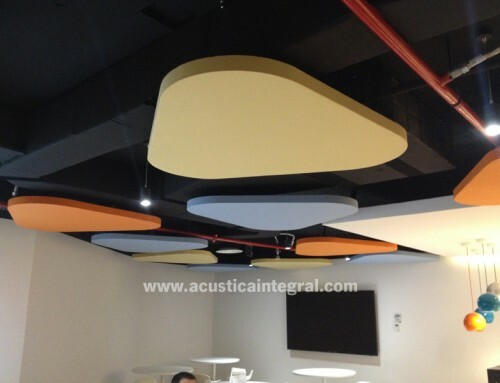 Absorbent acoustic treatment for conference room. 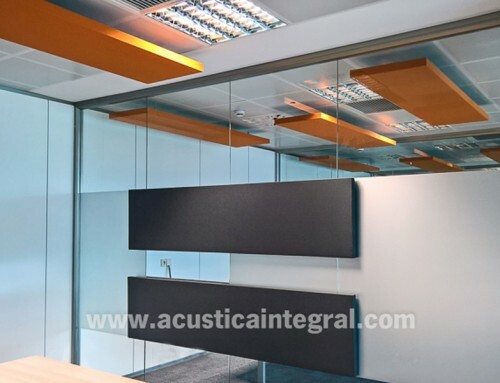 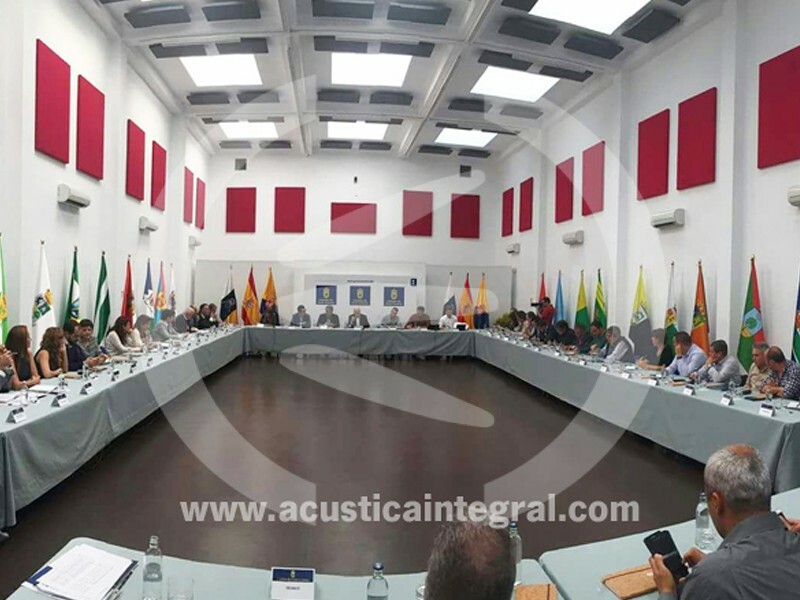 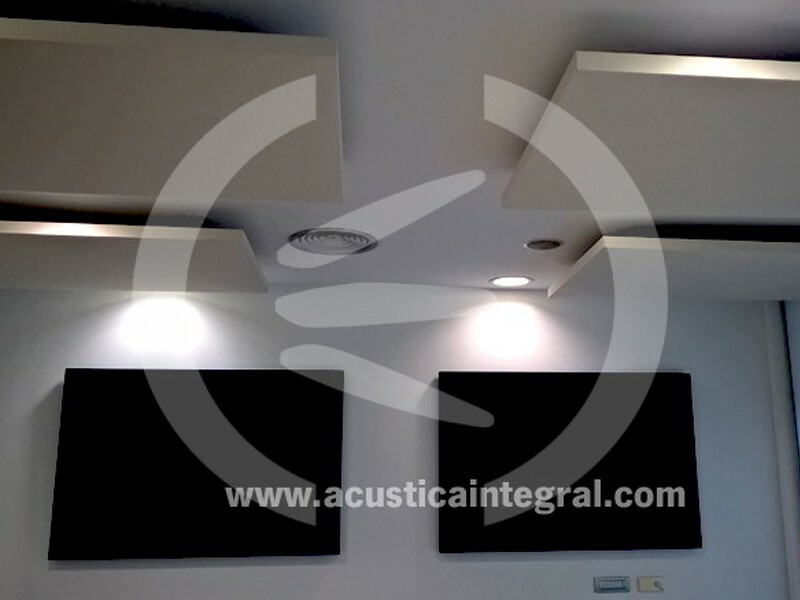 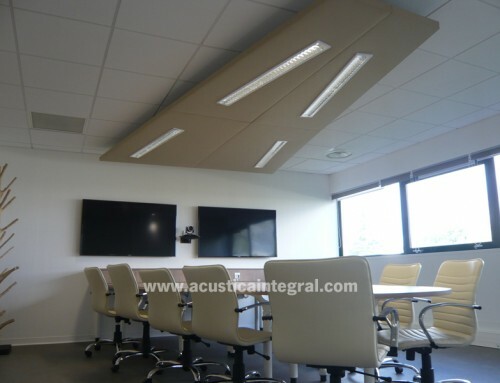 With the aim of achieving for the interlocutors to hear properly and without interferences, the acoustic treatment applied on this occasion is based on Acustiart type absorbent objects placed on the ceiling and absorbent panels with Acustiart Digital type printing. 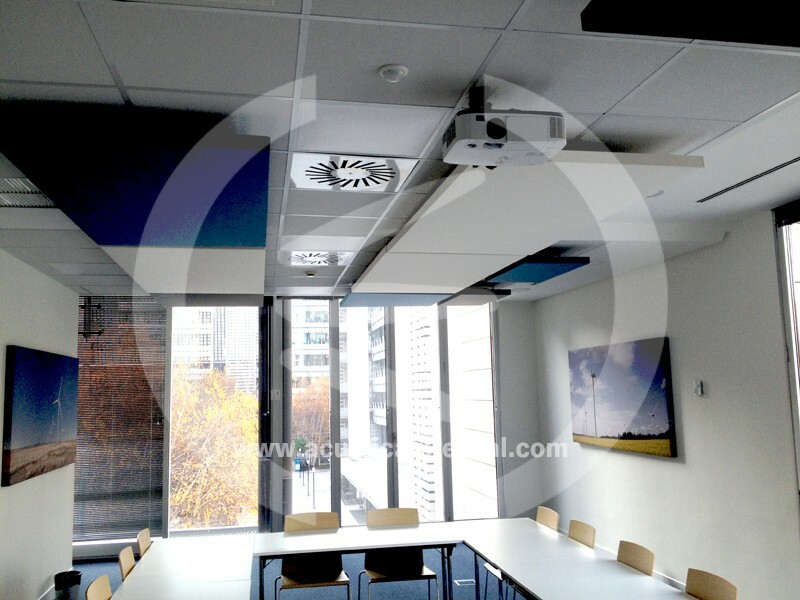 Conference rooms are common in office premises, as the enable holding meetings with lots of people in the same environment. 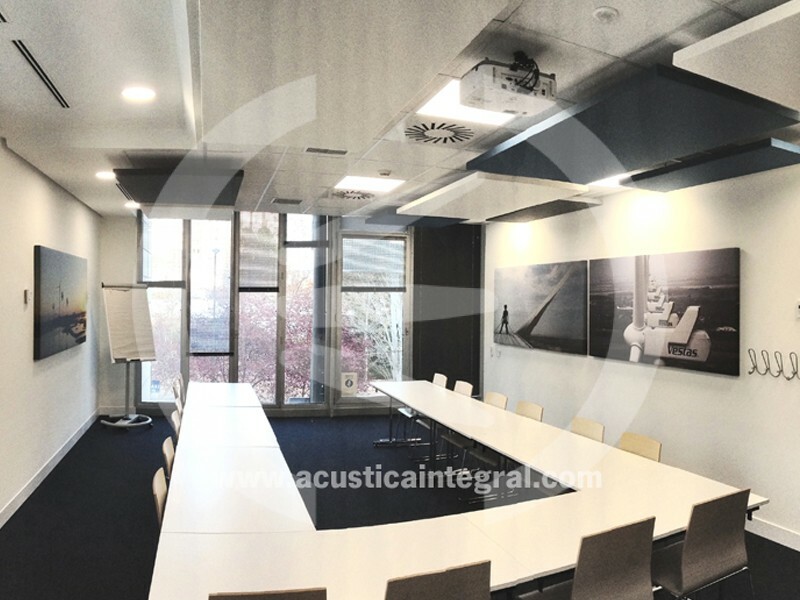 We must take into account that dialogue is essential in these rooms and therefore they must allow to maintain multiple conversations without the word intelligibility being deteriorated due to the interaction with the premises. 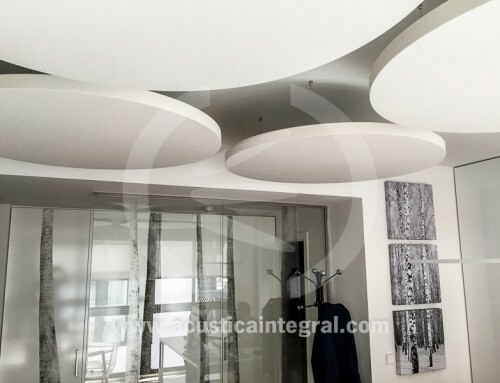 To achieve this, it is essential for the sound generated inside the rooms not to be altered by undesired acoustic reflections for which the treatment with absorbent materials is necessary on a surface that allows adjusting the reverberation time to an optimum value in order for words to be intelligible. 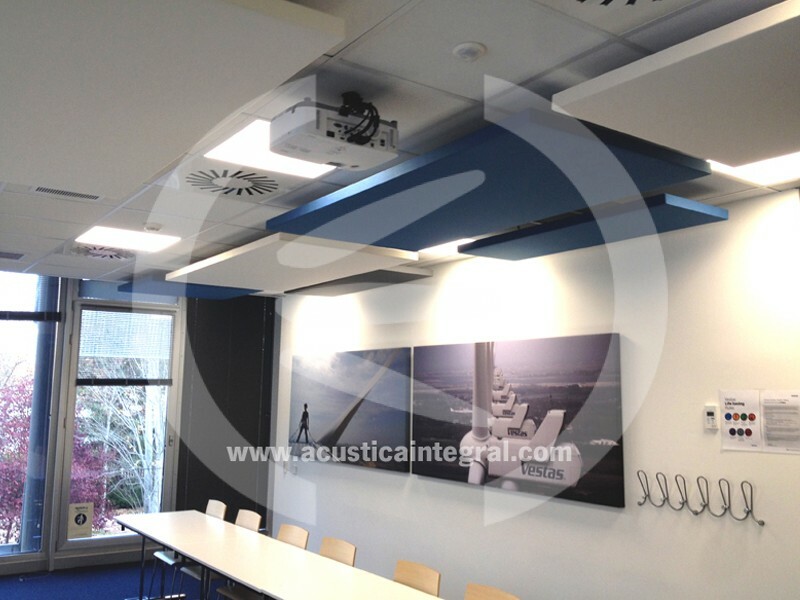 The Acustiart type modular acoustic materials allow integrating the absorbent elements into finished installations, without having to alter the aesthetics and undertake annoying works. 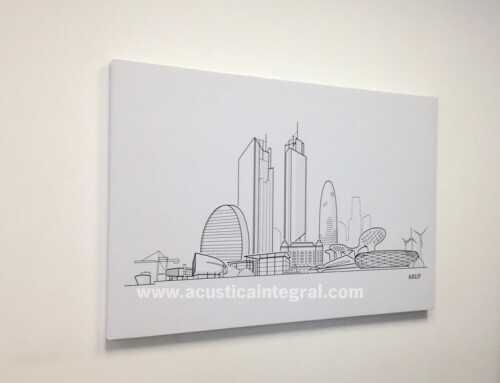 Moreover, the absorbent Acustiart Digital type models allow treating the existing walls adequately combining the absorbent treatment and the aesthetics of the premises provided by the images printed on the fabrics. 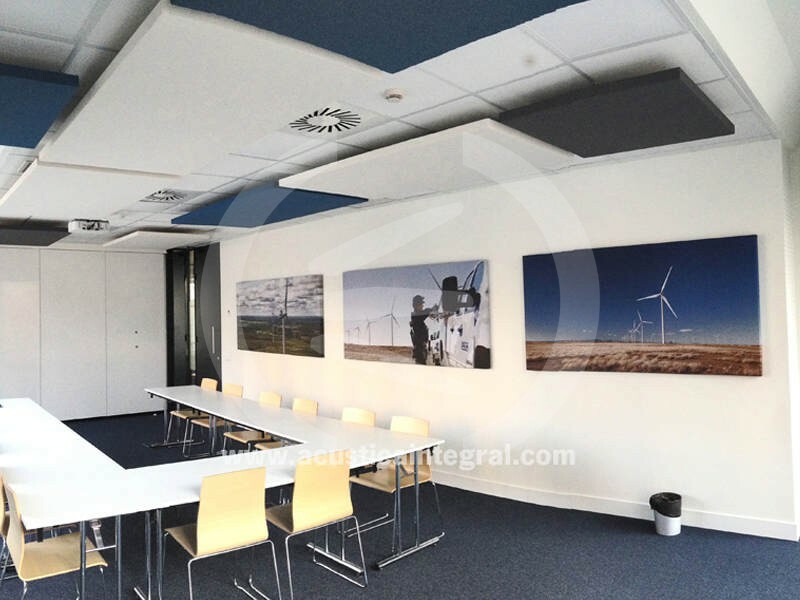 The variety of finishes of the fabrics available enable an optimum aesthetic integration in these premises where both the acoustic and visual results are very important.